Did you see our last blog post? At Circuit 31 Fitness, we know how hard it can be to commit to a fitness routine and really make it last. When you have fitness goals to meet and don’t know where to start, call us. We are here to help you keep pushing your goals and find a way to stay inspired for as long as you need. Read on to learn more. When it comes down to meeting any goal, one of the most important parts is to learn how to properly manage your time. Fitness is no different! For some people, exercising in the morning is the perfect way to start a busy day and keep the energy high until bedtime. For others, that perfect time is right after work. Whatever works best for you, choose a time and stick to it. That way, it will be harder to push it off until later. If you keep doing the same exercises every time you go, you are going to get bored quickly. We get that at Circuit 31 Fitness, which is why our workouts change so frequently. However, if you’re going to do some working out on your own, try some new things! Experiment with rock climbing or yoga, give martial arts a try or take a kettlebell class. The best way to find something you love is to just take a class and dive right in. How can you keep yourself accountable? You can always pay in advance for a fitness center or class that demands attendance. For example, and Circuit 31 Fitness, you can actually earn your money back by attending enough classes! Many people are motivated by that commitment alone, but others need a little more. Keep regular gym dates with your friends or your partner if you are looking to up to commitment level. Just knowing that your friend is at the gym waiting for you will make you more likely to show and motivate them during the workout. With all these apps and fitness trackers on the market, it’s hard to know what to choose. In the end, we recommend anything that connects you with others and helps you stay on the right path. Take a look around the app store on your phone or ask your friends what they like best. Not every day is easy and simple enough to make it to the gym. If you find yourself stuck at home for whatever reason, that doesn’t mean you have to become a couch potato. Turn your home into a fitness center! Perform some physically demanding chores or do some squats while on the phone. While it might not seem like much, this exercise is enough to get you up and moving. Even drinking a lot of water during the day guarantees you’ll be getting up and down enough to refill your drink and go use the restroom. How many people pick up an activity only to realize later that they hate it? Quite a few. 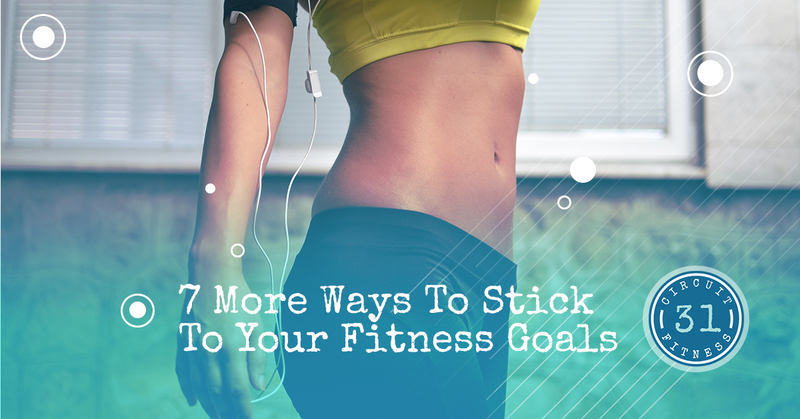 Take a look at your resolution and see if running really is for you. If you decide that you want to give up what you had previously intended, that’s totally okay. Just choose a new resolution and start working towards that one. Also, feel free to change things up after awhile. You might love something at first and decide to focus your energy elsewhere later. If you are serious about getting into shape and meeting your goals, you will need to invest in the proper equipment. For most people, that’s some new running shoes, some comfy shirts, maybe a cool yoga mat—whatever it is that will make you feel more excited about exercising. Even the most enthusiastic of gym goers have an off day, so be patient with yourself as you work towards your goals. If you are ready to get started on your new health and wellness plan, then contact us! We look forward to seeing you in the gym and watching you improve. We’ll see you soon!